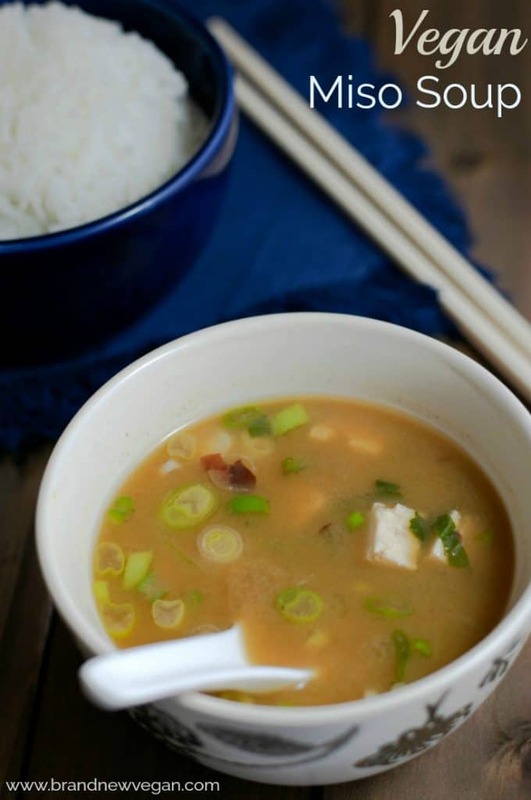 Miso Soup has been around for centuries, and is considered the ultimate comfort food for millions of people around the world. This week I tried my hand at making a very simple, but very tasty Vegan Miso Soup. But isn’t Miso Soup already Vegan you might ask"
a type of kelp seaweed called Kombuand something called Bonito Flakes (Katsuobushi ) which are literally shavings from a smoked, dried type of Tuna. Kombu is Vegan and is one of the main ingredients, so I took a trip to my local Whole Foods to pick up a pack. It comes in dried sheets, very much like the Nori Sheets used to make Sushi, and can be kept stored for a very long time. By the way – to answer the question “Can I just use Nori to make Miso Soup"” that would be a definitive no. Not tradiitonal Miso Soup anyway. True Miso Soup is made with Kombu. If you do not have a Whole Foods, try your Trader Joes, or other organic markets, and if nothing else, an Asian Market will definitely carry them. I’ll include Amazon links too. To replace the Bonito Flakes – I tried something new and ground up a small package of dried Shiitake Mushrooms in my food processor. The broth this made, along with the Kombu, was VERY flavorful and I highly recommend it.